If you want to get yourself a head start in the MBA rat race, there are certain things you need to know. First of all, instead of applying a blindfold approach, do some research on the colleges in the US that provide an MBA degree, in a programme that interests and try to identify the colleges that come within your feasibility zone. The USA is a popular international hub for management studies due to the fact that apart from providing an undeniable level of credibility, they also provide a wide range of business programs in various formats. You have everything from full time classes that require daily attendance to executive programs that can be customized to help you balance work and school efficiently. So, before you make a choice, decide on what works for you the best. You need to stay alert and be aware about the different deadlines for different courses offered by various colleges. 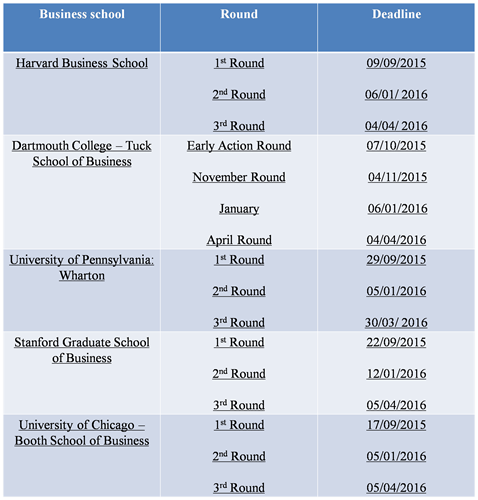 There is no common deadline and MBA colleges in the US generally have a couple of rounds prior to the final deadline. Most US universities recommend that international students apply within the first two rounds to find time for the Visa application process. Though you can submit your application through the post, almost every university now provides the provision to submit applications online. Still others will require applications to be sent through email. The minimum age to apply for an MBA degree set by most universities in America is 16 years. This translates to a minimum of four years in graduation following high school or 10+2. You can also apply for MBA in the USA if you have completed your Master's degree in any discipline. The most common qualification tests for an MBA program in the USA are the GMAT and GRE. The GMAT exam is conducted for students who wish to pursue a career management and this is the most commonly taken test. The GRE comes a close second in terms of popularity when it comes to qualifying tests for MBA programs in US colleges. In the ideal scenario, you need to register a minimum of three months prior to the stipulated deadline, so that your test scores will be out when you are required to apply to a college. The GMAT score is a crucial element in your application process for MBA in the USA. The GMAT evaluates a student based on four criteria - analytical writing, integrated reasoning, quantitative analysis, and verbal skills. Your GMAT score has a validity period of five years and it is conducted throughout the year at more than 600 centers all over the world. GRE started being accepted as an evaluation test from 2005 by Stanford University. 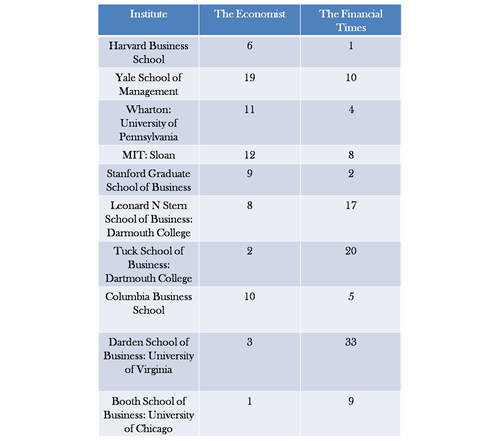 Following this, the other big universities such as Harvard, UC Berkeley, MIT, Duke, Yale, NYU, and Wharton followed suit. Today, GRE is accepted as a standard selection process by around 1000 business schools in the USA. A high number of universities set forth working experience as a criteria to enter into their MBA courses. Although there are schools that admit students without any work experience, most colleges ask for an experience in the range of 3 to 10 years. Of course, this depends on the kind of program you wish to pursue. This is the most crucial element in the whole application process for MBA. The interviews are conducted through specific invitation schedule. The candidates are first evaluated for their overall academic performance apart from their GMAT scores. The interview card will be received by a candidate only after you cross this evaluation process.